All schools in England have a Governing Board which is responsible for overseeing many of the strategic decisions of the school. A key role is to act as a ‘critical friend’: to monitor, to support, to challenge, to ask questions, ultimately to represent the school communities. The Governing Board works in close partnership with the headteacher, staff, the Diocese and Local Authority. Whilst the Executive Headteacher is, of course, responsible for the day to day running of the two schools, the governing board is involved with matters such as reviewing staffing, curriculum, school buildings and finance. It ensures the school functions well and maintains the proper range of academic and social objectives. 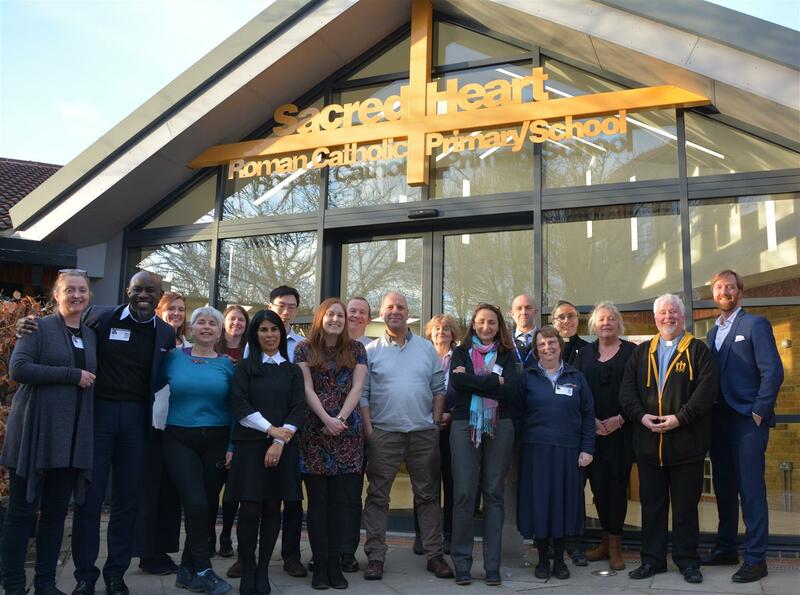 Eleven Foundation Governors appointed by the Archdiocese of Southwark. The current Chair of Governor’s role is shared between Mr. Andrew Cooper and Mr. Rex Wickham who can be contacted via the school office. During this first year, and going forward, good governance of both schools is important to Governors as is sharing good practice and expertise. Governors are working hard and are interested and committed in their new role. Stability amongst the governing board is strong. Governors have worked with the SLT and staff to ensure that policies and other documents are joint where possible. Governors have supported, advised and worked closely with the SLT and the Building Project team on the new building work at St Mary’s.Governors have started discussions about the future of the schools and possible collaboration initiatives. Governors met with parents/carers at St Mary’s in March 2016 during a FGB meeting to raise the profile of the Board and also to enable informal discussions on a one to one basis. They have set a date to meet the parents/carers from Sacred Heart in March 2017. Governors have helped to market the new building at St Mary’s. Working closely with staff and the SLT, Governors have an extremely detailed governor visit programme. They visit the school regularly; both as part of the School Development Plan and also to monitor, observe and discuss specific subjects. Feedback on visits is given to all governors via a formal visit report. Having only worked with one of the schools previously, governors have worked together with the SLT and other governors to gain the necessary knowledge and information about both schools. This has enabled them to fulfill their roles, ensuring the best outcomes for the children. Having participated in several strategy and research meetings, Governors have worked together to form a new joint governing board. It is the Governors’ responsibility to monitor standards within the school and ensure statutory duties are being carried out. Each Governor also takes a strategic responsibility for a particular subject or aspect of school life. Each Committee reviews areas of the School Development Plan related to the Committee’s work. Safeguarding is a high priority for governors and governors ensure that they meet their responsibilities in this area. The Board has 2 nominated safeguarding link governors: Niamh Coyne and Julia Brotherhood.